Earth testing at 2© , 20© , 200© , 2k© . 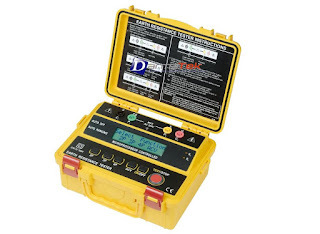 Earth voltage measuring : 0-300V AC. & humidity Operating: 0° C~ 40° C d80% R.H. Storage: -10° C~ 50° C d80% R.H.